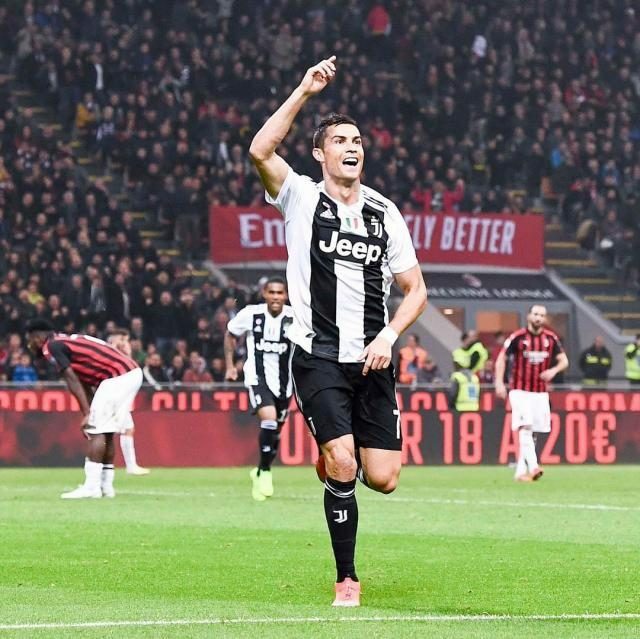 Juventus coach, Massiliano Allegri has said Cristiano Ronaldo will not play in Juve’s clash at SPAL, a match that will see the Italian giants lift the Serie A title for the eighth consecutive season. Juventus are 20 points clear of second-place Napoli with seven games left, meaning they will lift the trophy if Carlo Ancelotti’s boys do not defeat bottom-side Chievo the next day. “A lot of players will be rested and there are many others who need to get some action. Maybe some will even be left at home. It will be a good opportunity for whoever comes. “[Title] celebrations can be postponed because on Tuesday we’ve got a game which closes an important cycle and could earn us a place in the semifinals [of the Champions League],” Allegri said. “It would be nice to celebrate [the title at SPAL]. “We might have some [youth players]. There’s no point making any predictions about injured players. Whoever is available on Sunday morning will be available for Tuesday.